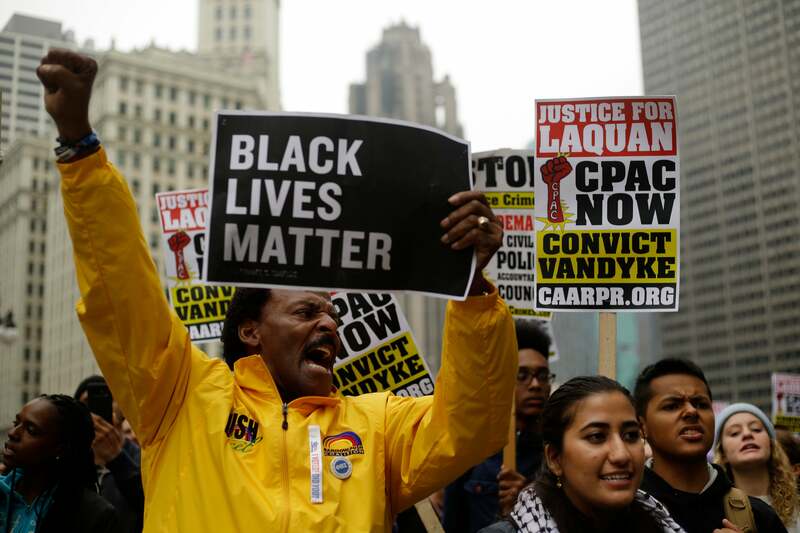 On October 2, 2018, police psychologist Laurence Miller took the stand to testify in the defense of Jason Van Dyke, a white police officer who shot Laquan McDonald, a black teenager from Chicago’s West Side, in 2014. The facts of the case didn’t look good for Van Dyke. A 13-year veteran of the Chicago Police Department, he had shot McDonald 16 times within seconds of exiting his squad car. Though McDonald was holding the knife he had reportedly used to damage a patrol vehicle, the 17-year-old was shot while walking away from cops in the middle of the street. None of these events were in dispute. The shooting had been captured by another police vehicle's dashboard camera, and Van Dyke was charged with first-degree murder, 16 counts of aggravated battery with a firearm, and one count of official misconduct. The use of psychologists in courtrooms is nothing new, of course, and defense attorneys and prosecutors alike have long relied on expert testimony to help divine the complex soup of chemical hormones and electrical impulses that drive human behavior. But the use of psychology in the defense of police officer shootings is less common—in part because so few officers ever end up on trial. Only 96 officers in America have been arrested for murder or manslaughter for an on-duty shooting since 2005, according to Bowling Green State University criminologist Philip Stinson, and such cases rarely make it to a courtroom. But when they do—and some experts suggest it is likely to become more common with the proliferation of cameras documenting police-suspect interactions—testimony on the unique and stressful psychological tableau of police work has become a staple for the defense. On October 5, jurors in Chicago ultimately found Van Dyke guilty of 16 counts of aggravated battery with a firearm and second-degree murder. A sentencing date is pending, and while Van Dyke's attorneys were still angling last week for a new trial (the judge denied those motions), in a phone interview after the original trial, Miller suggested that his testimony may have at least partly prompted the jury to deliver a verdict of second-degree, rather than first-degree murder. That's a lesser charge, and one that would seem to suggest, legal experts say, that jurors believed that Van Dyke felt himself to be in danger, even if his reaction was unreasonable. Miller's testimony hinged largely on the crucible of stress and the threat police officers often face. “If your car is skidding off the road, correct it; if someone is chasing you, elude them," Miller testified during the trial—adding that there is a twist for first-responders: “Even though their brains are telling them, ‘Run! Get away, save yourself,’ their job is exactly to do the opposite. They have to run toward the danger,” he testified, suggesting that acting against biological imperatives of survival heightens feelings of danger and increases the perception of a threat. Miller's core arguments do have some obvious merit. Daniel Reisberg, a professor of psychology specializing in perception, cognition, and law at Reed College, for example, noted that police officers who have been in a gunfight naturally often describe it as highly stressful. "Our bodies have a fairly well-tuned mechanism that kicks in when we’re under stress," Reisberg said. The problem, some researchers—including Reisberg—say, is when Miller and others among a small group of frequent police defense experts venture further into the unsupported, or at the very least, highly speculative frontiers of psychological and neurological science. Kimberley McClure, a professor of psychology and law at Western Illinois University, for example, pointed out that because stress responses are highly individual, Miller would have to clearly establish those factors that may have activated the HPA-axis during those seconds before Van Dyke got out of his car. And while researchers agree that stress can distort perception, there isn’t much peer-reviewed research connecting these distortions with the decision to fire a lethal weapon. 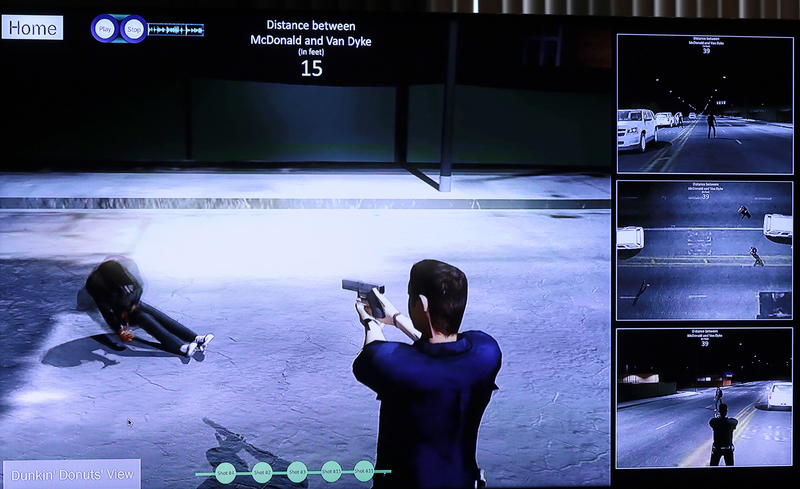 The training officers receive on the use of lethal force has tended to focus on the quality of an officer's handling of his or her weapon—the loading, unloading, and the giving of instructions, McClure said. “Less research has focused on cognitive factors," she added, "such as decision-making and memory under stress." Among those who did experience impairments, however, symptoms affected their ability to perform some fine motor tasks and “to successfully execute force techniques.” For these individuals, the authors say, it’s possible that stress could lead to an incorrect assessment of the situation, resulting in injury to officers or suspects. But experts suggested that far more research along these lines—including studies where scientists at universities team up with police departments—would be needed to understand the extent to which these distortions occur in the real world, and what role they’re playing when officers pull the trigger. “What remains unclear," the authors of the study noted, "is how officers are making these force decisions." Miller has been a psychologist consulting with police departments for nearly 20 years. In 1988, he earned his Ph.D. from CUNY’s department of psychology, where he specialized in neurocognition. He is licensed to practice psychology in Florida, where he also completed forensic examiner training in 1998. Today, he runs his own private practice, and primarily consults with the West Palm Beach Police Department and the Palm Beach County Sheriff's Office, where he assesses officers after they’ve been involved in deadly force encounters and other distressing situations. On the stand, Miller said that he has testified—typically for the defense—as an expert witness in four or five high-profile cases. His fee as an expert witness in cases that require travel is $10,000 per day of testimony (he testified for one day in Van Dyke’s case). Van Dyke’s defense also paid Miller $10,000 for a psychological evaluation on April 1, 2016. Multiple experts interviewed for this story say there are only a handful of psychologists who are called upon to defend use of force cases like Van Dyke’s. Psychological and legal scholars are not convinced that the research is strong enough for the courts. To determine whether an expert witness’s scientific testimony is based on sound scientific reasoning, judges often use what's become known as the Daubert Standard—named for a 1993 Supreme Court case in which a family sued a pharmaceutical company for birth defects they believed attributable to a prescribed medication. For scientific testimony to meet the Daubert criteria, it typically must be based on peer-reviewed research that is widely accepted by the scientific community. That testimony included citations of research by police psychologists William Lewinski and Alexis Artwohl, who have suggested that perceptual distortions are commonly reported among officers involved in deadly force encounters—and that these distortions give reasonable grounds for pulling the trigger. Lewinski, who declined to be interviewed for this article, runs the Force Science Institute, a research group that studies, among other things, “how the mind works during rapidly unfolding events.” Like Miller, Lewinski has previously been called on by attorneys defending police officer actions at trial, where he explained how stress and distortions can have profound effects on officers’ perception during deadly force encounters. Miller acknowledged that “much of Lewinski's work is on the borderline between case study and empirical research.” Case studies are anecdotes that help tell one officer’s story. They are “a precursor to empirical testing,” said Miller, and therefore should carry some weight. But other experts interviewed for this article maintained that case studies are no substitute for systematic peer-reviewed research that helps us understand what thousands of officers think and do. For his part, Miller explained that he immerses himself in the peer-reviewed literature before taking on any case as an expert, using his decades of experience in the field and clinical judgment as references. Still, while it may be true that scientific study of stress has a long pedigree, other experts suggest that extrapolations made from that science to explain—or excuse—certain behaviors are far more complicated. 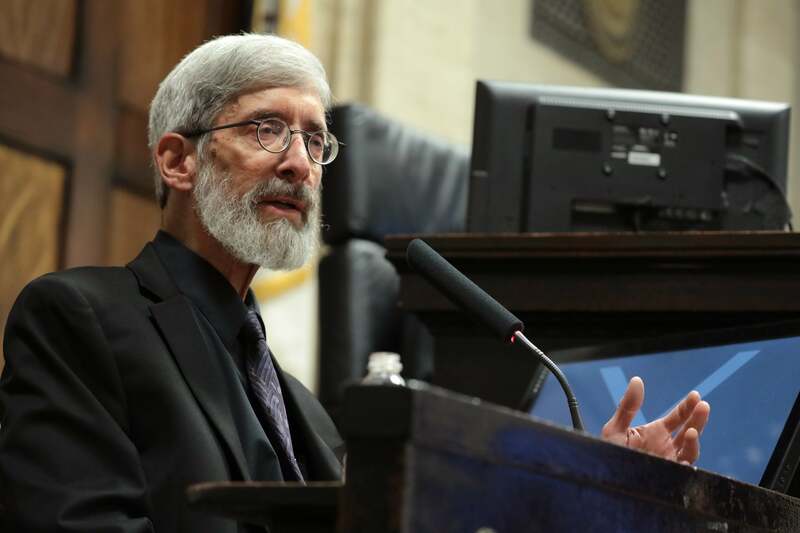 Expert witnesses have the responsibility to help judges, juries, and attorneys understand what knowledge is out there, said McClure, who recently evaluated the application of scientific research in officer-involved shooting policies. But experts should also have “an appreciation for gaps in the information we have,” she said.